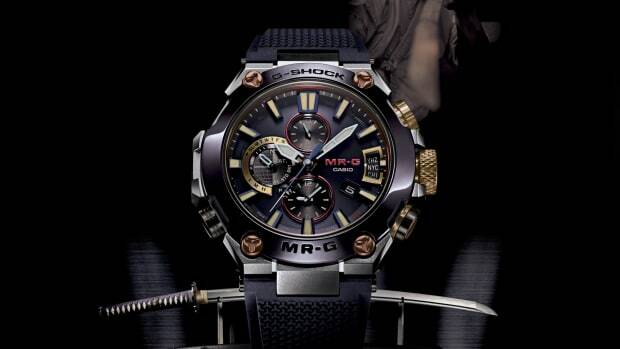 The watch features an all-new composite resin band. 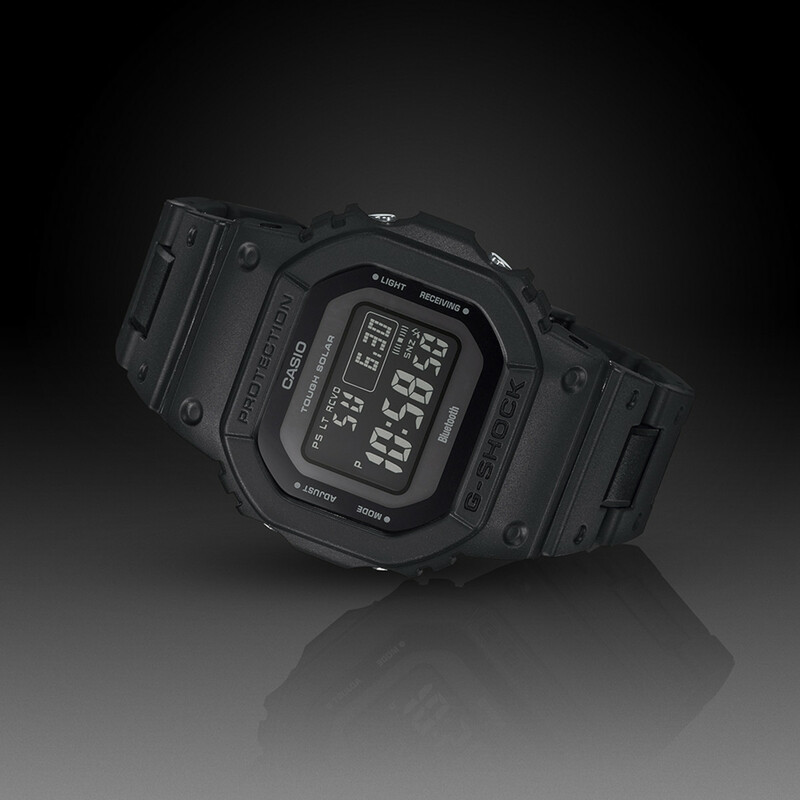 The latest addition to G-Shock&apos;s &apos;Connected&apos; line is a new GWB5600 with an all-new composite resin band. The band&apos;s resin links contain stainless steel inside to increase durability while maintaining a lightweight structure. 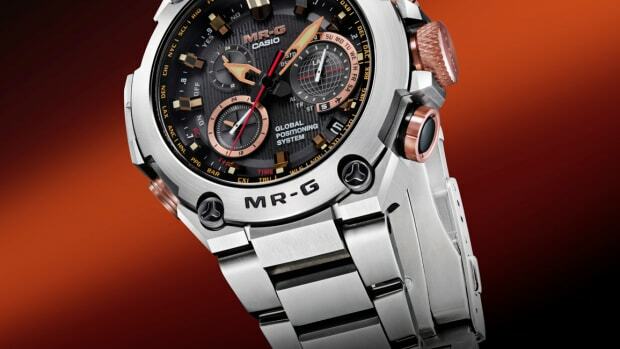 It&apos;s also a fully featured G-Shock with 200M water resistance. shock resistance, four daily alarms, world timer with 39 time zones, target alarm, 1/100th stopwatch and countdown timer, full auto calendar, and 12/24 hour formats. It will also feature Multi-Band 6 and Bluetooth connectivity for automatic and accurate time adjustment. The case back also feature an engraving by renowned sword smith, Teruhira Kamiyama. 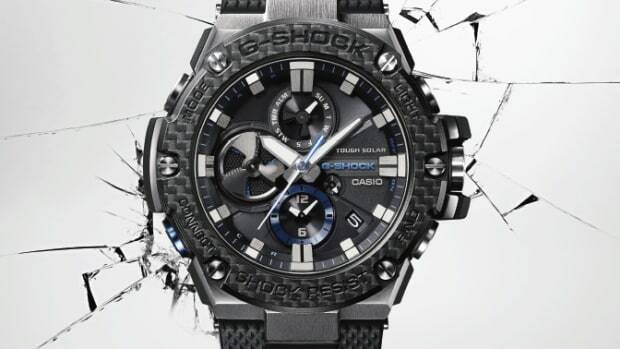 The rugged bezel features TORAYCA and NANOALLOY materials. The company dresses up their latest high-end watch with Akagane accents.